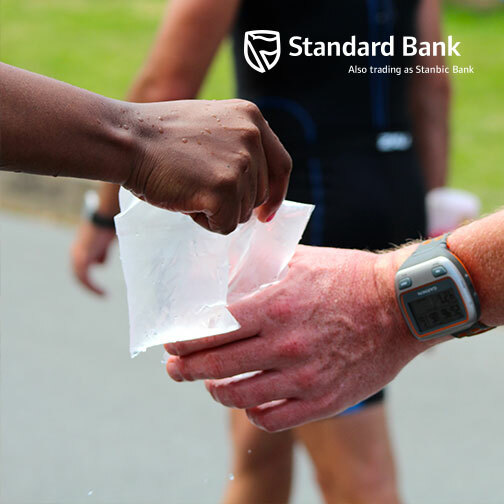 The Standard Bank IRONMAN® African Championship is taking place this Sunday, 29 March, in Nelson Mandela Bay, Port Elizabeth, South Africa. It attracts some of the biggest triathletes from around the world who participate in one of the hardest events to be held on South African soil. Raynard Tissink’s advice has helped to prepare you for the Ironman African Championship on Sunday and will help you to move forward and achieve your own personal fitness goals. Race week is almost upon us and most athletes are wondering around in nervous anticipation of the big day. As hard as it is, it is important to stay relaxed and focused in these last few days. By now, the hard work should all have been done. Don’t make the mistake of trying to fit in any extra last minute training. Rather focus on eating well, staying loose, healthy and trying to get as much sleep and rest as possible. If you haven't put the work in by now - it is too late. Don’t worry about what other athletes are doing. They have their plan. You have yours. Check your equipment and make sure that everything is in good working order. Even if you take your bike in for a service, check it again after the service to make sure the seat height is the same and that everything is tightened as it should be. Don’t make any last minute changes to your equipment or your race plans. Altering your position, adjusting your seat height, moving your seat position further forward or backwards, changing cleats will only lead to discomfort or injuries on or before race day. Also be sure to stick to the nutrition you've been using in training. Trying a new product may result in nausea or cramping in the race. Have your nutrition plan prepared in advance and know exactly when to take gels, energy bars, drinks and salt tablets. You can even set the timer on your watch to beep as a reminder of when to take your GU's or when to eat or drink. Don't wait until you feel hungry, thirsty or are already trying to ‘save' yourself. You want to be on your feet as little as possible in the last few days before the race. Make sure you know when your check-in times are and where and when your briefings are. Walk through the transition at bike check in, and take note of where your bike is racked, where your bags are, which way to enter and exit. Run through every step of your transition in your mind prior to the race. This will ensure that on race day your transitions run smoothly, without wasting any unnecessary time and effort. Do some warm up swims in the sea to practice sighting and diving through the waves. For beginners, the most important point to concentrate on in the swim is to be as relaxed and comfortable as possible in the water. Maintain a long, controlled stroke. When you tense up in the swim, you start fighting the water and cause unnecessary fatigue. Pace yourself on the bike leg and rather start conservatively. 180 Km is a long way. The guys that go flying past you at the start will probably blow later on, so plan to try ride the second loop faster than the first. Start the run slowly and if you’re a beginner, make it your goal to have as much fun out there as possible, chat to the other athletes, acknowledge the fans and volunteers. It will make it all so much more worthwhile. Be sure to plan some much needed rest and family time after the race and acknowledge the support and commitment that your family, friends and work colleagues have given you in the build up to the race. You are doing an event that many people dream about. Most importantly enjoy the day, enjoy the moment and Never Stop Moving Forward.